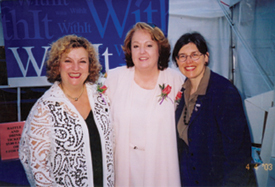 In 1997 WithIt’s founding members were owners, managers, designers, entrepreneurs and other professional women who realized successes in the home and furnishings industries. At a time when there were few opportunities for women to connect, share information, support one another’s successes or gain exposure, they decided they needed a tribe. They felt a vacuum. They founded WithIt. The fact that these women conceived the idea of a national organization of business and professional women is testimony to their faith in themselves and the future. 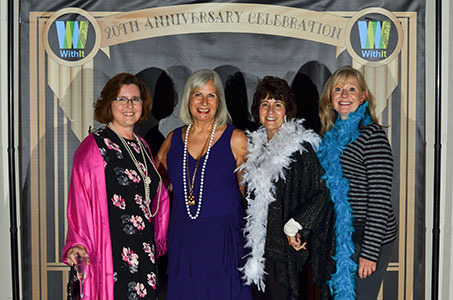 Over the years, WithIt has grown in numbers and scope; conducting educational classes, offering needed mentoring, celebrating accomplishments, supporting the fringes, giving scholarships and encouraging individual growth. WithIt offers the resources, tools, information and guidance necessary for achieving career or business goals. Our members have advanced and so has WithIt. Thank you to all who have played a role in the success. WOW awards moved to be in conjunction with the Professional Conference. CORPORATE STRATEGY, INTEGRATION &INVESTMENT IN DIGITAL AND SOCIAL MEDIA. Vas/CAs chapters adopt a family for the holidays. October WithIt honors all WithIt past presidents at President's Welcome Reception during High Point Furniture Market. 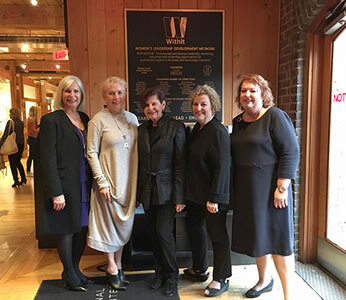 October As part of the 20th anniversary celebration, WithIt unveils a bronze plaque on the first floor of the Market Square building honoring the founders, founding board members and advisory board who tirelessly worked to establish WithIt. August Digital Education videos launch on the WithIt website offering all members the benefit of the educational content from the professional conference.